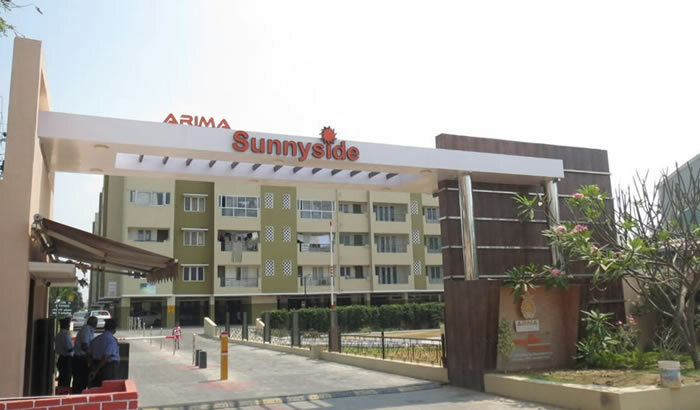 Arima Sunny side is close enough to the business heart of the city, yet far enough to give you the peace and serenity you love. It is located in Ram Lakshmanan Nagar, just 1km away from the airport and facilitates easy access form crucial rail and road junctions. A wide range of premium facilities await you, Steam room, Jacuzzi, Table Tennis and Pool Tables, indoor shuttle courts, well equipped and air-conditioned Gymnasium, Jogging track, swimming pool for adult and children, community hall and more. Each residence has special amenities as well –intercom facilities in all the bedrooms and 1000W power back-up. Prestigious institutions are within easy reach – PSG tech, PSG Medical College, PSGR Krishnammal College, PSG arts and science college, GRG Matriculation Higher Secondary School, Medical College, Coimbatore Institute of Technology, KMCH Hospital, Arvind Eye Hospital and Lotus Eye Hospital.It is also close to IT parks and Jenney’s club. Walk into Sunnyside for a truly great way to live, with all comforts and conveniences within your reach. Move to a unique and enchanting lifestyle, today.